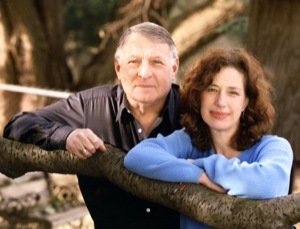 Phyllis and Earl Epstein as featured in “Law and Marriage”, February, 2005 issue of the American Bar Association Journal. Women-at-Law provides women with ideas and suggestions about how to deal with their professional and personal goals and challenges and make the compromises required to “have it all”—even when “having it all” can be different for each individual. You’ll learn that, with some effort, a woman can redirect her career, home life, and interests in the long journey that is a successful life. Phyllis Horn Epstein Spoke at the Philadelphia Tri-County Chapter of the Pennsylvania Society of Tax and Accounting Professionals (PTSPA) on February 1, 2019 on Estate Planning, Family Tax Planning and the elimination of the Alimony Deduction all under the New Tax Cuts and Jobs Act. Phyllis Horn Epstein spoke at the ABA Tax Section’s mid-year meeting in New Orleans this January 18, 2019 on the motivating tax policy behind the Tax Controversies and Jobs Act of 2017. Some topics covered elimination of the alimony deduction and the impact of rate changes on individuals and families. Phyllis Horn Epstein, partner at Epstein, Shapiro & Epstein, PC traveled to Washington, D.C. on December 13, 2018 to attend the American Bar Association’s Tax Section’s conference with Internal Revenue which included a meeting with IRS Commissioner Chuck Rettig and various leading department deputies. Among the topics discussed was the implementation of the Tax Cuts and Jobs Act, the new and revised income tax form 1040, and recommendations for IRS Guidance. The conference is part of an ongoing dialogue between the ABA Tax Section and IRS to improve tax administration for IRS, taxpayers, and practitioners. Phyllis Horn Epstein was an instructor for the ABA Tax Section’s Webinar held November 19, 2018 -You’ve Got to Know When to Hold ‘em; Know When to Fold ‘em: Know When to Walk Away; Know When to Run: Tax Issue-Spotting for Non-Tax Lawyers. The Program, moderated by former Chair of the Section Karen Hawkins, covered the new tax act’s impact on family law strategies in particular those involving alimony; b) the new Tax Act’s impact on the taxation of damages and settlements; and c) managing tax controversies/disputes. Phyllis participated in the 17th annual Eastern Pennsylvania Working Together Conference on May 23, 2018 as a moderator on IRS Collections and as a Speaker on recent developments under the Tax Cuts and Jobs Act of 2017. The Working Together Conference is a Joint effort of public and private tax professionals including representatives of IRS, the PA Department of Revenue, and accountants. Phyllis was a speaker at the ABA Tax Section meeting in Washington D.C. on May 10, 2018 on the subject of how the 2017 Tax Can impacts low income families. The program included the views of the office of the National Taxpayer Advocate and a few regional Low Income Taxpayer Clinics. Phyllis was featured in the March 5, 2018 edition of the Pennsylvania Bar News in an article entitled “Tax Simplification at Its Worst.” The article is based upon an interview with Phyllis and her review of many of the changes brought about by the new Tax Act of 2017. On February 5, 2018, Phyllis addressed members of the Philadelphia Family Law Section and the Family Court in a program entitled: The Impact of New Tax Law on the Practice of Family Law. During the program, Phyllis reviewed the impact of the new tax law on the practice of matrimonial law and, in particular, the change that makes alimony no longer deductible for agreements entered into after December 31, 2018. Phyllis Epstein has become a Fellow of the American Bar Foundation. Phyllis has been appointed a member of the Nominating Committee for the American Bar Association’s Tax Section. On April 27, 2017, Phyllis Horn Epstein spoke at the 2017 Leadership Conference of the National Association of Women Lawyers in Philadelphia (NAWBO) on the tax implications of hiring employees and independent contractors. As the new Chair of the Individual and Family Tax Committee, Phyllis Horn Epstein participated in the ABA Tax Section Webinar: “Compliance Begins at Home: Tax and Immigration Issues Related to Household Employees”. Ms. Epstein discussed the technical requirements for tax filing that each homeowner needs to become acquainted with. This informative panel was designed to help individuals understand whether they were required to pay employment taxes for their nanny or household help and if so, how. Phyllis Horn Epstein, has been appointed Chair of the ABA Tax Section Committee on Individual and Family Taxation. On April 24, 2015 Phyllis Horn Epstein spoke at the Pennsylvania Bar Institute’s seminar “The Family of Laws” highlighting the tax aspects of a family law practice. Ms. Epstein spoke about the innocent spouse relief from IRS obligations, dependent care credits, the tax implications of filing joint or separate returns, the tax impact of alimony and property transfers and the potential for tax liability for separated and divorced couples. As Vice Chair of the Individual and Family Tax Committee, Phyllis Horn Epstein served as moderator and organizer of a panel discussion at the ABA Tax Section meeting in Houston, Texas on January 30, 2015 on “Breaking up is hard to do: Protecting divorcing spouses from the IRS and each other.” The presentation covered tax controversy issues relating to divorce including strategies to consider before, during, or after marriage. On June 6, 2014 Phyllis Horn Epstein spoke at the Pennsylvania Bar Institute’s seminar “The Family of Laws” highlighting the tax aspects of a family law practice. Ms. Epstein spoke about the innocent spouse relief from IRS obligations, EITC impact on divorcing couples, the tax implications of filing joint or separate returns, the tax impact of alimony and property transfers and the potential for tax liability for separated and divorced couples. Phyllis Horn Epstein, Esquire is the recipient of the Pennsylvania Bar Association’s Presidential Special Achievement Award for her dedicated service as PBA Treasurer from 2011 – 2014. The award was conferred at the PBA House of Delegates Meeting May 16, 2014 and is in recognition of the extensive amount of work and dedication she contributed as PBA treasurer for the past three years, including reviewing and choosing the investment advisor for the PBA as well as revising the investment policy and the board and staff expense policies, thus ensuring the best financial security for PBA members. Spring ABA Tax Section Meeting in Washington, D.C.
As Vice Chair of the Individual and Family Tax Committee, Phyllis Horn Epstein served as moderator and organizer of a panel discussion at the ABA Tax Section meeting in Washington, D.C held May 9, 2014 on Taxation of Settlements and Damage Awards under Section 104 (a) of the Internal Revenue Code with comment and recommendations from the Taxpayer Advocate Service. Phyllis Horn Epstein was a speaker on the subject of New and Expiring Business Tax Laws at the NBI Business Tax Planning Conference held December 9, 2013 in Philadelphia. As Vice Chair of the Individual and Family Tax Committee, Phyllis Horn Epstein served as moderator and organizer of a panel discussion at the ABA Tax Section meeting in San Francisco, California held September 21, 2013 on Foreign Earned Income Credit which included a discussion of FBAR and other taxpayer reporting requirements of foreign assets and income. In May 2013, Phyllis Horn Epstein was elected a fellow of the American College of Tax Counsel. Phyllis Horn Epstein was the moderator and organizer of two panel discussions at the ABA Tax Section meeting in Orlando, Florida held January 25, 2013. Representatives of the IRS chief counsel office and Low Income Taxpayer Clinics throughout the United States spoke on Proposed Changes to the Guidelines for Innocent Spouse Relief and Vanishing Time Limits for Equitable Relief under the Internal Revenue Code. As of August 2012 Phyllis was appointed co-chair of the Governance Committee and At-Large member of the Executive Board of the Commission on Women in the Profession of the Pennsylvania Bar Association. This November 2012, Phyllis Horn Epstein was elected to a three year term on the Executive Board of the Business Law Section of the Philadelphia Bar Association. Phyllis Horn Epstein participated in the PBI CLE program “The Nuts & Bolts of Running a Family Law Practice” held November 27, 2012 lecturing on employer tax requirements and the choice of form of business. On June 4, 2012 Phyllis Horn Epstein spoke at a seminar sponsored by National Business Institute on the subject of non-profit organization management and the receipt of donations in the form of cash, artwork and other property. The impact of Sarbanes Oxley on non-profit management and internal policy making was discussed along with guidance on developing investment policy. On May 22, 2012 Phyllis Horn Epstein spoke at the Pennsylvania Bar Institute’s seminar “The Family of Laws” highlighting the tax aspects of a family law practice. Ms. Epstein spoke about the tax implications of filing joint or separate returns, the tax impact of alimony and property transfers and the potential for tax liability for separated and divorced couples. Phyllis Horn Epstein was appointed to the Executive Council of the Business Law Section of the Philadelphia Bar Association starting January 2012. Phyllis Horn Epstein was appointed to the Executive Council of the Individual and Family Tax Section of the Tax Section of the American Bar Association. Ms. Epstein is a contributor the The Road to Independence published in 2011 by the ABA Commission on Women in the Profession which charts the careers of 101 women attorneys who started their own law firms. Ms. Epstein was elected Treasurer of the 27,000 member Pennsylvania Bar Association at its annual meeting in Philadelphia on May 6, 2011. Ms. Epstein participated as a speaker and course planner for the Seminar “LLCs: From Formation to Special Uses” for the National Business Institute this past December 7, 2010. Her presentation included a discussion of complex tax issues affecting the use of LLCs. Phyllis Horn Epstein was named as a Vision 2020 Ambassador to participate in a decade-long national project inspired by the 100th anniversary of the Nineteenth Amendment to the U.S. Constitution granting the right of suffrage to women. The goal of Vision 2020 is to move toward gender equality and to inspire new generations of leadership. On October 22, 2009, Phyllis Horn Epstein spoke in Philadelphia at the 10th Annual Characteristics of Successful Women sponsored by the Pennsylvania Institute of Certified Public Accountants. Phyllis Horn Epstein, co- chair of the Pennsylvania Bar Associations Commission on Women in the Profession, chaired a conference on November 16 and 17 at University Park, jointly sponsored by the Penn State Smeal College of Business which was also attended by students at the Penn State Dickenson Law School and the Smeal College MBA women. The program featured three CLE panels titled, In-House Counsel exploring a variety of issues from the perspective of in-house counsel, corporate counsel in private firms and business leaders; Financial Aspects of Law and Business. Understanding and Interpreting Financial Statements: What is that Company really worth? and Lifecycle of a Small and Solo Law Firm and Business. Ms. Epstein was recently appointed to a term on the PBA House of Delegates. Phyllis Horn Epstein, a shareholder in Epstein, Shapiro & Epstein, P.C., has been elected as Co-Chair of the Pennsylvania Bar Association’s Commission on Women in the Profession. Phyllis Horn Epstein, author of Women-At-Law: Lessons Learned Along the Pathways of Success, published by the ABA Law Practice Management Section, spoke on Alternative Careers in Law: Opportunity or Exploitation at The Thirteenth Annual CLE ConferenceUpdate for Feminist Law Professors held at the University of Pennsylvania Law School on February 11, 2006. Earl Epstein was named as a Pennsylvania Super Lawyer for 2005 in the Tax category by Law and Politics, published by Philadelphia Magazine. Pennsylvania Super Lawyers are chosen by a blue ribbon panel from lawyers nominated by ballots from Pennsylvania attorneys who are asked to make their nominations only from those they had personally observed in action. On June 8, 2005 Phyllis Epstein was guest speaker at a seminar for flextime lawyers, entitled Women in Law and in the Mommy Wars. On April 20-22, 2005, at the invitation of the Chief Judge, both J. Earl Epstein and Phyllis Horn Epstein participated in the Judicial Conference of the United States Tax Court held at the Nemacolin Woodlands Resort in Farmington, Pennsylvania. Phyllis Horn Epstein conducts seminar on Life Long Learning at Temple U. On March 23, 2005 Ms. Epstein conducted a seminar on Life Long Learning at Temple University’s Ambler Campus and will be continuing her speaking engagements as a guest speaker with Flextime Lawyers and will also speak on tax and ethical issues relating to divorce settlements as a part of the Continuing Legal Education program Equitable Distributions in Divorce Settlements in Pennsylvania; Valuation, Tax and Other Issues sponsored by the National Business Institute. On December 1, 2004 Phyllis Horn Epstein and J. Earl Epstein presented a continuing legal education seminar on “Women, the Workplace, and the Law”, hosted by Gratz College. On October 5, 2004 Phyllis Horn Epstein spoke to the Women’s MBA Association of the Smeal College of Business Administration of the Pennsylvania State University about her book, Women-at-Law: Lessons Learned Along the Pathways of Success and its application to all women professionals. On September 14, 2004 Phyllis Horn Epstein spoke on Ethical Considerations and tax matters relating to pension plans and Qualified Domestic Relation Orders in Pennsylvania divorces as a part of the continuing legal education seminar “Once of Prevention, Pound of Cure: Critical Financial Mistakes Made in Divorce in Pennsylvania,” sponsored by the National Business Institute. 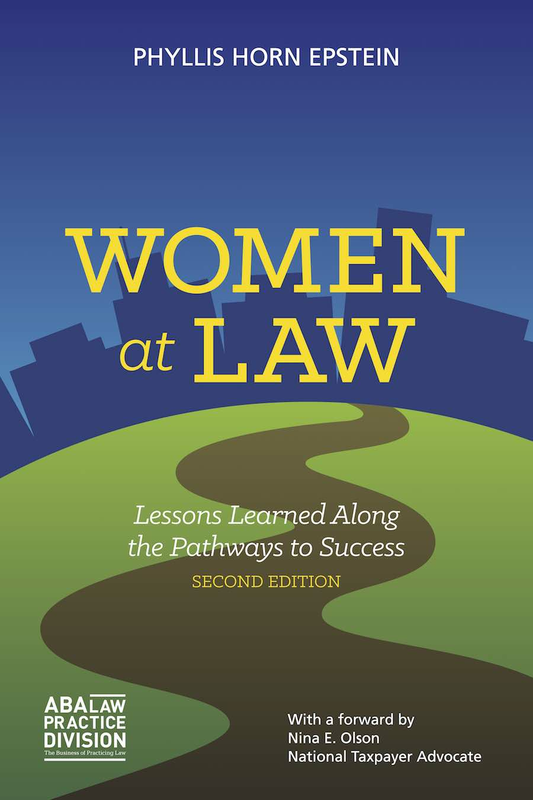 In June, 2004 the American Bar Association Press released a new book authored by Phyllis Horn Epstein, Women-at-Law: Lessons Learned Along the Pathways to Success, after interviewing over 100 women lawyers of all ages in a wide variety of practice settings nationwide to discover how women today are meeting the challenges of competing in an often all-consuming profession without sacrificing their desire for a multidimensional life. Ms. Epsteins book is now on the shelves of dozens of law libraries around the country and in a number of foreign countries and was a finalist for Book of the Year in the Career category by Foreward Magazine. It is available through the American Bar Association, at bookstores nationwide, and at Amazon. To order through the American Bar Association please click on the book below. Ms. Epstein has been invited to speak about her book at various meetings around the country, including the Womans Bar Association of New Hampshire, as well as in Philadelphia. A second printing is now under discussion. In May, 2004 Phyllis Horn Epstein was elected as Secretary of the Pennsylvania Bar Associations’ Commission on Women in the Profession and was reelected for a second term in May, 2005. On April 23-25, 2003, at the invitation of the Chief Judge, both J. Earl Epstein and Phyllis Horn Epstein participated in the Judicial Conference of the United States Tax Court held at the Nemacolin Woodlands Resort in Farmington, Pennsylvania. Among the items on the agenda were discussions about New Laws on Corporate Governance, Use of E-mail and Other Electronic Evidence in tax matters, Ethical Considerations in Settlements, and Legislative and Regulatory Developments in Corporate Tax Shelters. Both Earl and Phyllis Epstein are heavily involved in representing clients in Federal Tax controversies, both before the Internal Revenue Service and in the courts. On January 21, 2003 Phyllis Horn Epstein spoke on “Forensic Accounting and Valuation Issues in Divorce Matters” at a seminar on “Complex Divorce Issues for the Pennsylvania Practitioner”, a Continuing Legal Education program sponsored by the National Business Institute. 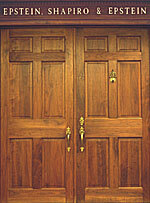 Ms. Epstein maintains a busy practice in divorce matters which involve the discovery and valuation of business assets.